The CSA Show at Chantilly is scheduled for Friday, Saturday and Sunday, October 14th, 15th and 16th, 2016. Weekend Passes are available for $15 in advance or $20 at the door. Free admission will be offered on Friday to attendees who purchase their tickets in advance. Admission is free for all three days for children 12 years old or under. Friday: Admission is $5 from 2:00 p.m. to 6:00 p.m., free admission from 6:00 p.m. to 8:00 p.m.
Saturday: Admission is $10 from 9:00 a.m. to 3:00 p.m., free admission from 3:00 p.m. to 5:00 p.m.
Sunday: Admission is $10 from 10:00 a.m. to 2:00 p.m., free admission from 2:00 p.m. and 4:00 p.m. Note: Please visit the CSA Shows Guests, Schedule and Pricing page for complete details and full descriptions of small flats, large flats, mini items, premium items, inscriptions and other important information. Photo Ops will be taken by a professional photographer from the photo op service provider, Great American Photo. Up to 5 people can be in the photo. Printed, color glossy 8×10’s will be available for pick up approximately 20 minutes after they are taken. 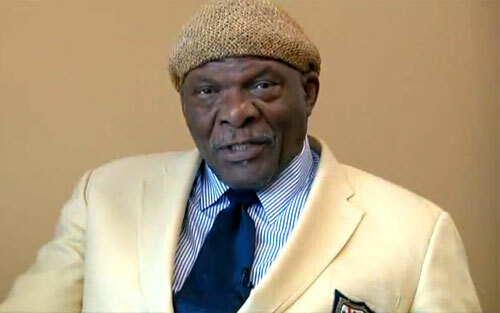 Carl Eller is a former NFL defensive end who played from 1964 through 1979. Eller began his NFL career in 1964 for the Minnesota Vikings in a first round draft pick. He played for the Vikings for the next 14 seasons between 1964 to 1978. He was elected to the Pro Football Hall of Fame in 2004 and is a member of the Vikings Ring of Honor. During his carrer he was a six-time Pro Bowl defensive end. Sports Speakers 360 is a booking agent for pro athletes. If you would like to book Carl Eller for a speaking engagement, appearance or endorsement, contact a Carl Eller booking agent for fees at 1.855.303.5450.